Oak Haven Community Care Center is part of the CommCare family, a Louisiana non-profit corporation which operates 12 skilled nursing facilities all in the state of Louisiana. We believe that our company is small enough to recognize and support individual needs of each center, yet large enough to bring the resources necessary to continuously improve quality of care. Visitors to Oak Haven Community Care Center often comment that there is a genuine feeling of comfort and family as they observe interactions at our center. This was the goal when we began the journey of “Person-centered Care or Culture Chage” in 2013 after a $4 million dollar renovation and a re-design that supports this philosophy of care. The re-design features four neighborhoods, each with its own sitting areas, dining, kitchen and personality as well as their own clinical coordinator and neighborhood coordinator. 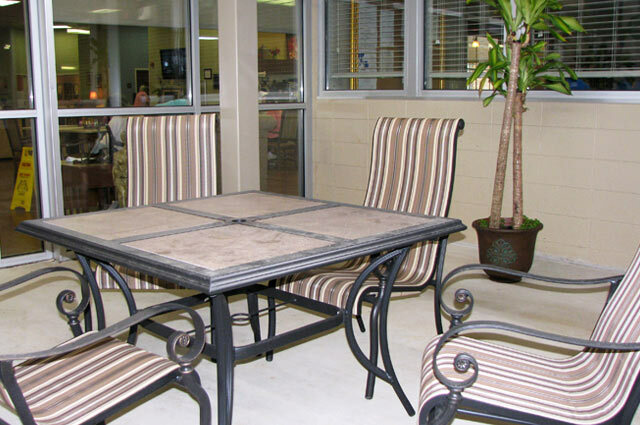 Residents also enjoy outdoor areas, courtyards and pampering beauty shop. One of the neighborhoods is dedicated to individuals who need rehabilitation in order to return home. In fact, 55% of those who turn to us for care return home. This neighborhood, named Fleur di Lis, features private rooms, private baths and flat screen televisions. Our other neighborhoods feature both private rooms and spacious double occupancy which are the largest in the area. So what does Person-Centered Care or Culture Change mean? It means we empower individuals to make decisions about their daily routine and wishes. 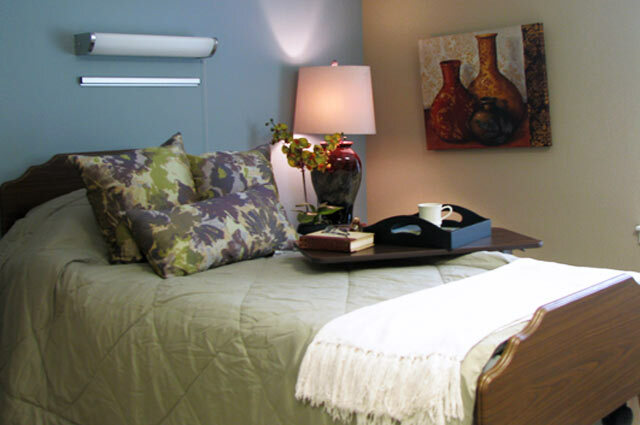 Residents choose from a menu of meal options as well as choosing when they wish to eat, bath or wake. 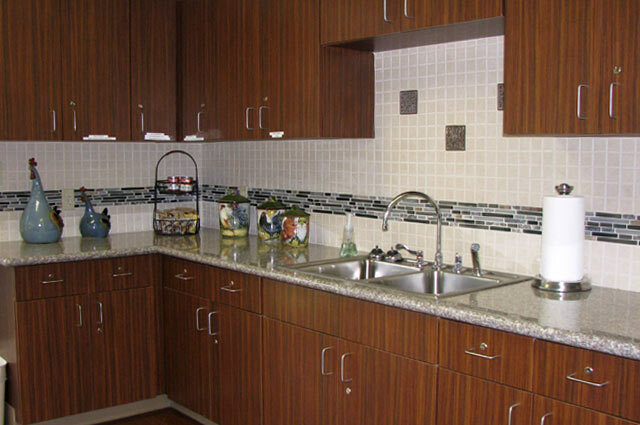 Residents enjoy ice cream, beverages or snacks from our two refreshment stations, which are open 24 hours a day. It’s not our schedule, it is theirs. Core values are choice, dignity, respect, self-determination and purposeful living. We welcome visitors to come and experience the Oak Haven culture. Oak Haven Community Care Center is proud to employ talented, caring leaders who bring tremendous value to the experience at our facility.